In my Google Alerts this morning, I found an item from the Ryukyu Shimpo about a WWII memorial service held at Tinian, in the southeast of Okinawa “one of the three principal islands of the Commonwealth of the Northern Mariana Islands,”1 the scene of civilians and soldiers who leapt to their death from the top of a cliff.2 As I read past the end of the story for more on the subject, I found a link to another article, and this one hit home in more ways than one. It was about the Tsushima Maru tragedy.3 Until this moment, I’d never heard of it. On 22 Aug. 1944, about eight months before the Battle of Okinawa, the Tsushima Maru, a passenger-cargo ship, was on her way from Naha, Okinawa, to Kagoshima, Kyushu, a destination that was altered to Nagasaki,4 also in Kyushu, on the first day at sea, the 21st. It carried 1484 civilians, including 826 children. According to some of the survivors, the purpose, ironically, was evacuation, i.e., to move children to a safer place on one of the main islands. It was part of a convoy that included, in addition, three cargo vessels, a destroyer, and a gunboat. A portion of the photos of victims exhibited in the Tsushima-maru Memorial Museum. Mitsuko Itokazu, Kiyoshi Uehara, Tae Uehara, Masakatsu & Chiyo Takara. Photos from the Tsushima-maru Memorial Museum website. At the time, the Japanese government forbade survivors to discuss the subject. Thus years passed before word of the tragedy got out. In the Bowfin’s original records, this kill was listed as just another “cargo” ship. In fact, it’s still listed as such in some accounts. 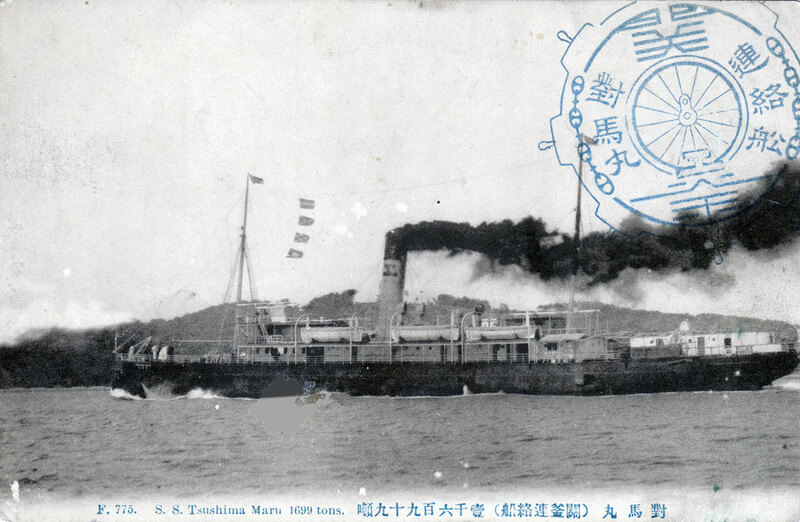 More than twenty years after the war, after the US learned about the civilian passengers aboard, the record was revised to “passenger-cargo,” and added to the vessel’s description was “unmarked” and “unlighted” (Tsushima Maru Sinking) at the time of the attack. Another photo of the Tsushima Maru, from the USS Bowfin Submarine Museum & Park webpage. The USS Bowfin at dock in Pearl Harbor, Hawaii. Update 10/11/14: See Tsukasa Kimura and Masahiro Iwata’s “Survivors recount 1944 sinking that claimed Okinawan students,” Asahi Shimbun, 8/22/14. 1 Thanks to Anonymous for this correction. Quote from Wikipedia, 1/5/17. 2 “A Memorial Service for Okinawan War Dead Held in Tinian,” 6/4/14. 3 “Memorial Service Held for Victims of Tsushima-Maru Tragedy,” Ryukyu Shimpo, 8/23/13. 4 This destination change added irony to this tragedy. On 9 Aug. 1945, approximately a year later, the Enola Gay released an atomic bomb over the city of Nagasaki, killing 39,000 to 80,000 people. Death seemed to stalk the passengers on the Tsushima-Maru. 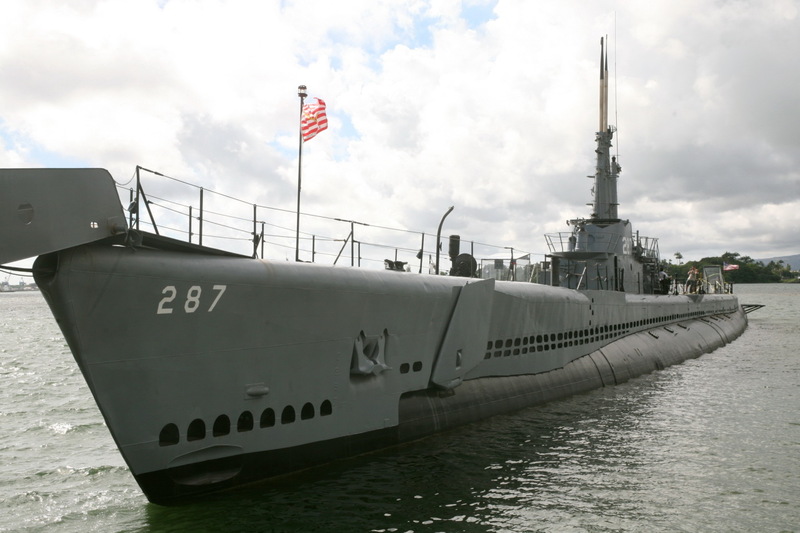 5 Sources: Wikipedia and USS Bowfin Submarine Museum & Park. 6 Tsushima-maru Memorial Museum website. Update 5/31/15: The links were apparently removed by the museum to block online access to the interviews. I went to the site and couldn’t find the interviews. I substituted links to articles that mention three of the survivors. Webcite alternatives: Mitsuko Itokazu, Kiyoshi Uehara, Masakatsu Takara. Tinian is one of the three principal islands of the Commonwealth of the Northern Mariana Islands. Chinen is the peninsula in Okinawa. I’ve never heard “Chinen” referred to as “Tinian” except for your article, and your source article. I happened upon this item just now while doing research into S.S. Iyo Maru (or S.S. Ohio Maru). In regard to the Tinian reference, it is possible there was a memorial service for those sacrificed in the Marianas. I have visited Saipan and its “suicide cliff”, and there may have been something similar on Tinian which is the island just south of Saipan. I know that Saipan has been a pilgrimage site for many years for Japanese families who lost loved ones during WWII.